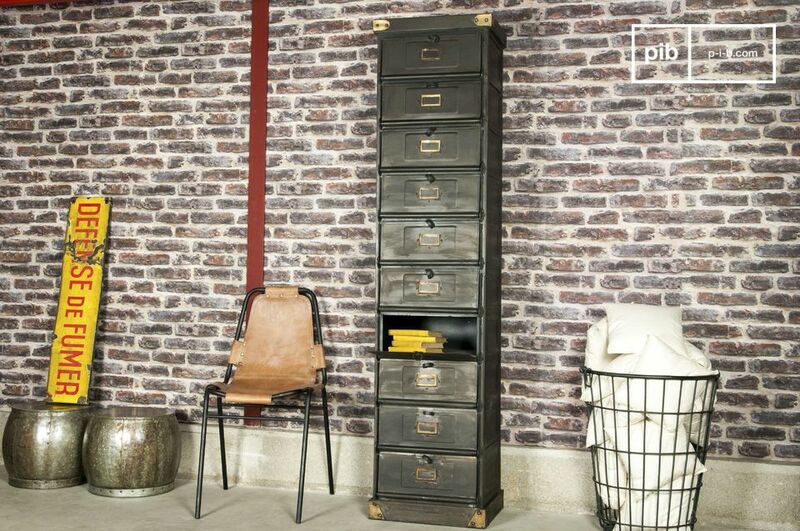 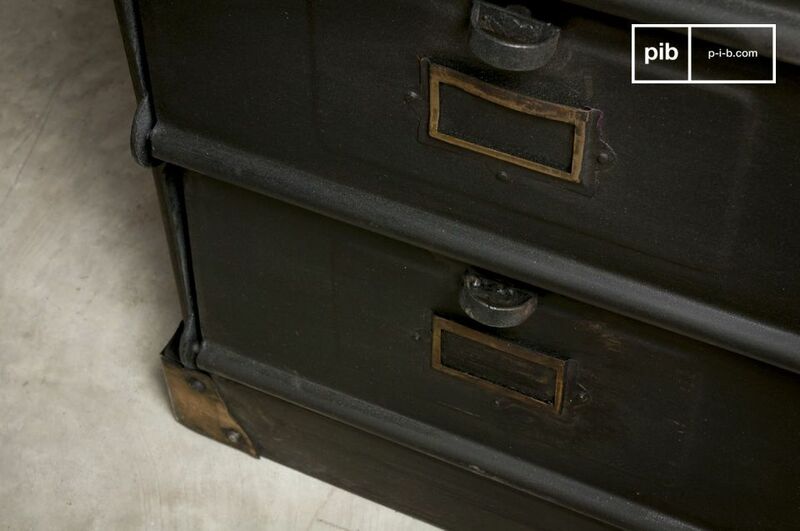 A storage unit in a vintage industrial style that will bring style to your room, while being very practical to use for files, dishes, and all daily life objects. 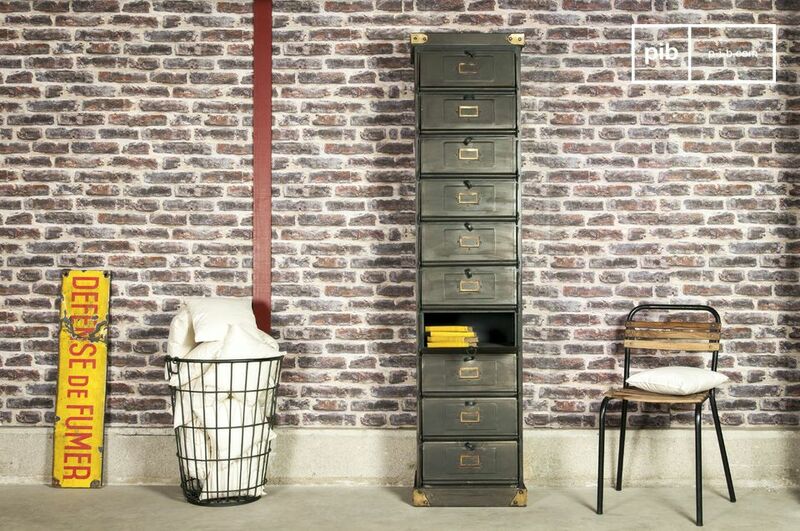 With its matt anthracite and brass corners, emerges from the metal chest the "factory of the early twentieth century" spirit, full of character. 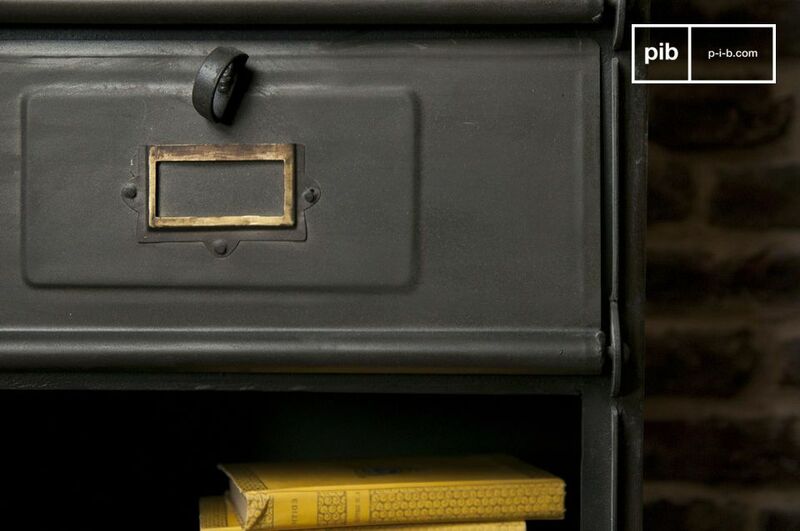 A metal storage cabinet designed with thick metal, to be personalized with small signs to slip into the label holder on each of the ten storage space.